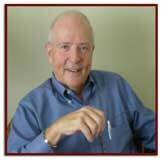 Tom Wallace is a writer and educator specializing in Sale s & Operations Planning, Sales Forecasting, Demand Management and Resource Planning. He is currently a Distinguished Fellow of The Ohio State University's Center for Operational Excellence. Tom is author of: Sales & Operations Planning: The Executive's Guide, Building to Customer Demand, Sales & Operations Planning: The Self-Audit Workbook, Sales & Operations Planning: The How-To Handbook, Sales Forecasting: A New Approach and Master Scheduling in the 21st Century. Tom has developed and taught a variety of seminars to over 10,000 executives, managers and specialists at professional, industry and corporate meetings in the U.S., Canada, U.K., and Australia. Tom consulted with Boeing, Guinness, Honda, Microsoft, Pfizer, Pitney-Bowes, Procter & Gamble, and others. Tom holds a Bachelor of Science degree from Marquette University and an MBA from Xavier. He served as the editor of the 4th, 5th, and 6th editions of the APICS Dictionary of Production and Inventory Control Terminology.